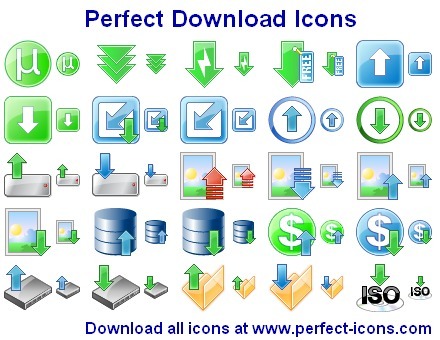 Perfect Download Icons is a royalty-free collection of quality icons representing various concepts and technologies related to uploading and downloading. Includes 70 quality icons with 5 sizes, 2 color depths, 4 file formats and 3 states (normal, hot and disabled) for each icon. All of the icons are immediately available upon the purchase of the collection. Plus, up to 5 custom-made collection-matching icons can be added at no extra cost.